google-site-verification: google8d8438b214143f71.html Beautiful Quotes: The Story Of The Three Old Men. 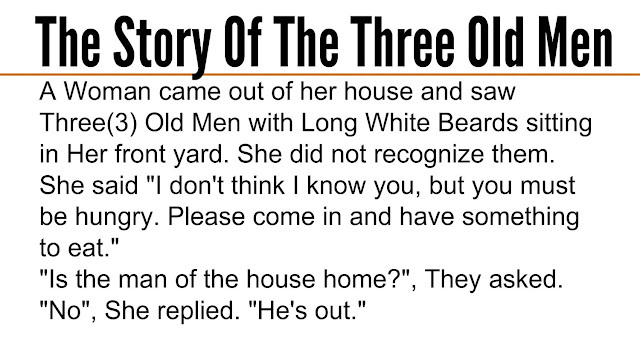 The Story Of The Three Old Men. She said "I don't think I know you, but you must be hungry. Please come in and have something to eat." One of the Old Men explained: "His name is 'Wealth',he said pointing to one of his friends, and said pointing to another one, He is 'Success' and I am 'Love'." "How nice!! ", He said. "Since that is the case, let us invite 'Wealth'. Let him come and fill our home with wealth!" His Wife disagreed. "My Dear, why don't We invite 'Success'?" Their Daughter was listening from the other corner of the house. She jumped in with Her own suggestion: "Would it not be better to invite 'Love'? Our Home will then be filled with love!" 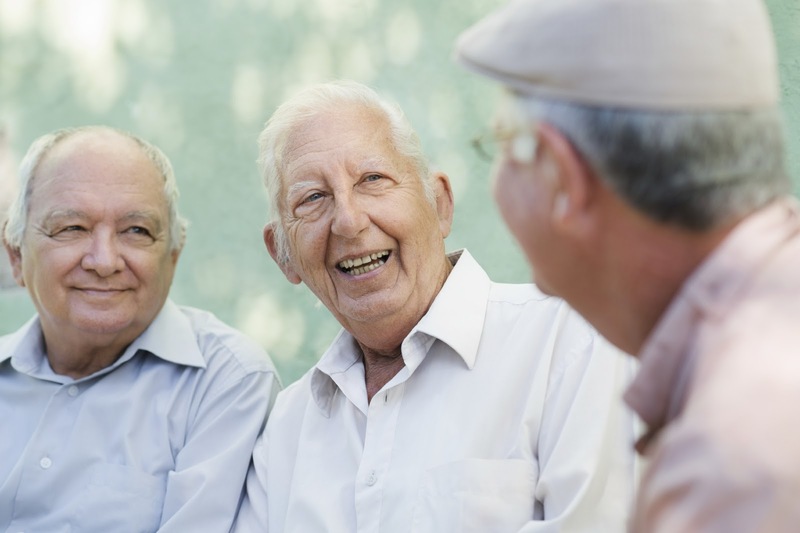 The Woman went out and asked the Three(3) Old Men, "Which one of You is 'Love'? Please come in and be Our guest." 'Love' got up and started walking toward the house. The Other Two also got up and followed him. Surprised, the Woman asked Wealth and Success: "I only invited Love, Why are You coming in?" The Old Men replied together: "If You had invited 'Wealth' or 'Success', the Other Two of Us would've stayed out, but since You invited 'Love', wherever He goes, We go with him. Wherever there is 'Love', there is also 'Wealth' and 'Success'."